LibreOffice is comprehensive and professional quality office suite like Microsoft office. It is a freeware office suite which is also open source. It has different applications like Base which is similar to Microsoft Access, Writer which supports similar functionality like Microsoft Word, Impress which works similar to Microsoft Power Point, Calc which is a spreadsheet program like Microsoft Excel and much more. It supports multiple operating systems and is embedded with many features. It has a simple yet powerful interface which is quite user friendly and easy to use. It has almost every feature that is required in a complete office productivity suite. It you have used Microsoft office, then you will find it very much easy as it is quite similar to that. Shows Text Boundaries depending on the choice to display unprintable characters. Table borders terminate at the right place. . Broken page borders handling has been fixed. Torn off color pop ups cause interaction difficulties in other windows has been fixed. Editing bugs are fixed in this version. LibreOffice Writer is a word processor inside this office suite. You can create documents like letters, resumes etc. as well as merge the long and complex documents in it. You can not only write text but include graphics, tables and charts etc. Documents can be saved in various formats as it is compatible with ODF, HTML, Word.doc etc. It includes a thesaurus, a spellchecker, hyphenation, auto-correct and various templates. With this software, you can design and structure your documents using its style and formatting options as well as create indexes and tables in text document. Then you can do desktop publishing, calculations, create drawings, insert graphics with different formats and much more using LibreOffice Writer. Navigation is easier and drag-and-drop feature is an add on. LibreOffice Calc is a spreadsheet program which you can use to calculate, analyze, and manage your data as well as modify and import Microsoft Excel spreadsheets. You can manage your data with spreadsheets like in excel sheets. You can arrange your data and can quickly perform mathematical calculations, it provides you with functions, including statistical and banking functions, that you can use to create formulas to perform complex calculations on your data. You can always add to or reorganize these spreadsheets. 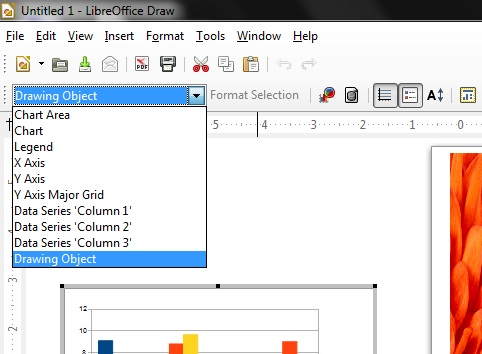 LibreOffice Calc lets you present spreadsheet data in dynamic charts that update automatically when the data changes plus it can convert files in many formats. 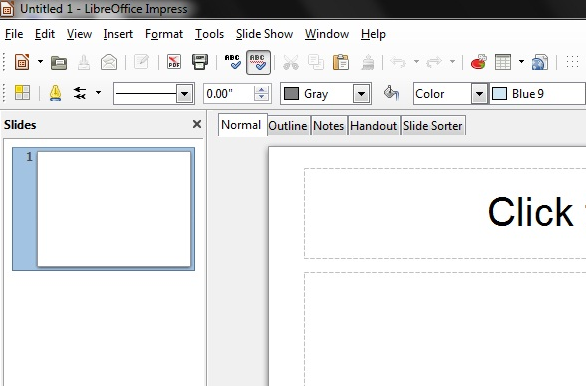 LibreOffice Impress is like power point application which lets you create smart presentations. Using this software, you can create professional slide shows that can include charts, drawing objects, text, multimedia and a variety of other items. You can even import and modify Microsoft PowerPoint presentations with this program. Special effects and stunning animations will help you create powerful and effective multimedia presentations. You can create slides using multiple feature options and then run them either automatically or manually. Also, you can create vector graphics in your slides using vector graphic tools included in Impress. 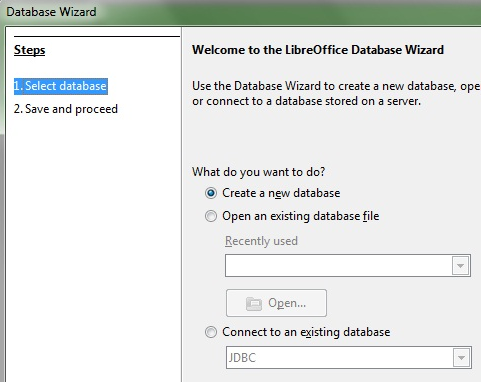 Base is a database component of LibreOffice with which you can create and manage databases. Base basically supports dBase format but you can also use Base to connect to external databases. Charts allow you to present data in a form which is easy to visualize. One can create a chart from source data in a Calc spreadsheet or a Writer table. LibreOffice Draw is a drawing application that lets you draw and make sketches right from the scratch. You can create from simplest to complex drawings using this program. You can insert charts, tables, formulas and much more from the gallery which contains images, sounds, animations etc. It can also create vector graphics like ellipses, lines etc. You can create 3D objects like spheres, cubes etc. and even modify them. Other activities like displaying dimensions, connecting objects to show relationships etc. can also be done with least difficulty. This application can also import to many common graphic file formats like PNG, JPG, GIF etc. 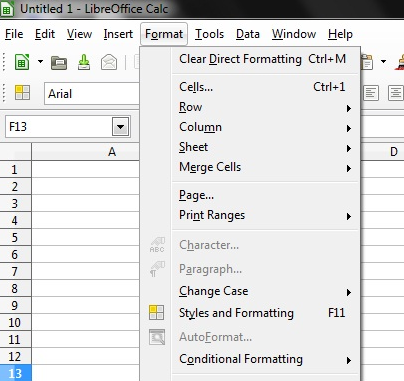 LibreOffice Math function is used to type a formula directly or create it with the help of its operators, functions and formatting assistants which are listed in the selection window. You can always insert the objects into your work with a single mouse click.